A few months ago my fellow dietitian, Gemma, from Dietitianwithoutborders, came up with an idea to give dietitians the opportunity to share what goes on in their kitchen. Like Gemma, I also get asked a lot about things I cook with so, naturally, I thought it was a great idea. Quinoa. I’ve been wanting to try this for ages, and on a recent visit back to the UK, I stocked up. I’m glad I did. For one, it’s much cheaper there and also, I’ve since discovered it’s versatility. I really like the taste of it, it tastes nice sweetened with fruits but also compliments savoury flavours. Quinoa contains higher levels of some amino acids than other grains, it’s a great source of fibre and makes a nice change to rice or cous-cous. 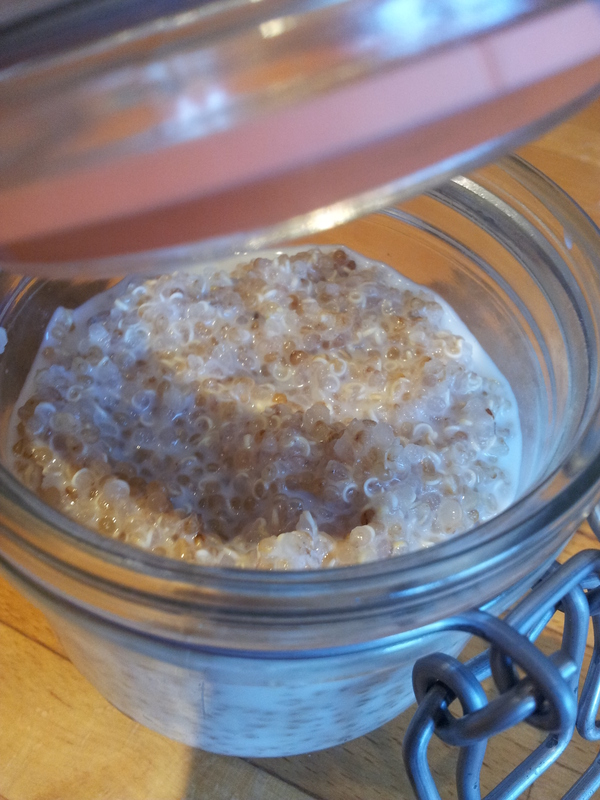 I’m still finalising some more recipes to blog about, but I have (in my humble opinion) perfected my quinoa porridge recipe. Now I just need to find somewhere in Brussels that doesn’t charge 10€ a bag!! Chicory. I’ll be honest…sometimes I manage to get myself into a bit of a vegetable rut. I end up buying the same veggies week in, week out, which is silly really as I love most of them! I’ve now vowed to add a different vegetable to the shopping trolley every week! 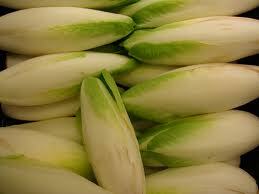 Chicory was something I’d never tried, let alone cooked! I picked up a big bag at the weekend, added it to a stir fry and made a sort of soup/casserole with leek and potato. Both were nice but the flavour of the chicory got a bit lost so I’m still experimenting. So far my favourite is oven baked chicory with bacon and stilton, the blue cheese really compliments the bitter chicory. Plantain Bananas. One of the things I love about Brussels is the food markets. These plantains are something I’ve seen a lot of, there’s a great stall at our local market that cooks fresh, authentic curries and serves these as a side dish. We’ve had them a couple of times, and this week I decided to give them a go myself. Raw, they look, smell and appear to have a similar texture to bananas. However, it’s best to cook them – they don’t taste half as good raw! 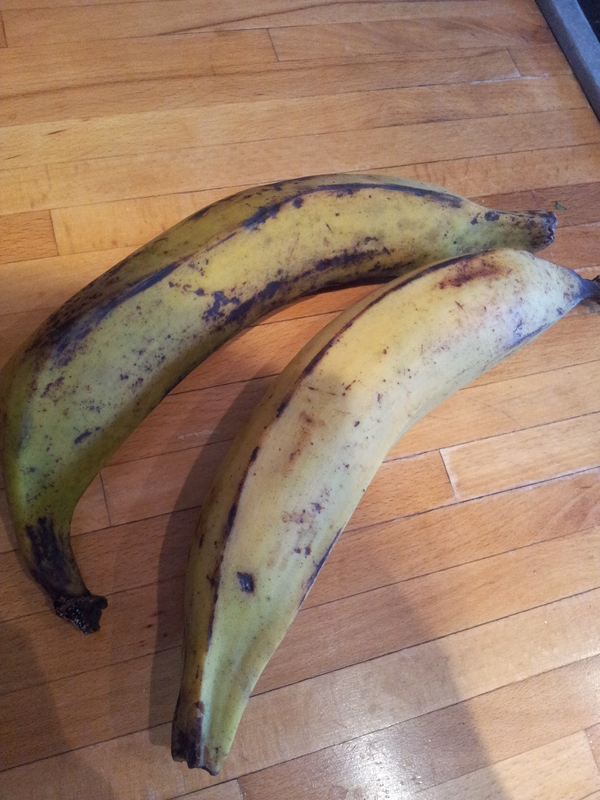 As the plantain becomes more ripe, the skin goes black, resembling a very over-ripe banana, but the inside will still be orangeish, or even tinged pink. The more black the skin becomes, the sweeter the plantain is. The beauty of this is that the plantain tastes different at each stage of ripeness. That’s what’s been going on in my kitchen so far in August..!